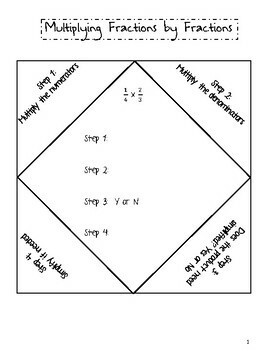 *This product is tied to the 4th Grade Standards for Math (4.NF.4) and 5th grade Standards for Math (5.NF.4 and 5.NF.5). 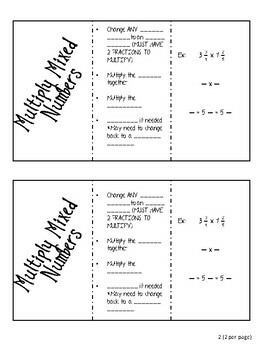 *Each topic includes a step-by-step differentiated guide per topic included in adding fractions.The step-by-step guide includes one that is fully complete, one that is fill in the blank, and one where the students write all the notes. Meet the note taking needs of ALL your students! 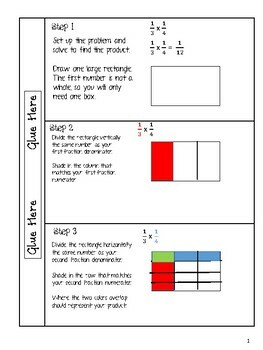 *In addition to the guided page for all learners, a set of additional practice problems is included. *To put into their notebooks, students can either cut along the lines and glue or simply fold in half for easy-to-find reference guides! 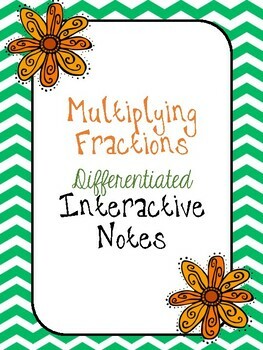 Like the idea of differentiated interactive notes but need a different topic? Let me know and I can create a custom product for you!! •Go to your My Purchases page (you may need to log in). •Beside each purchase, you'll see a Provide Feedback button. •Click it, and you will be taken to a page where you can give a quick rating, and leave a short comment for the product. Each time you give feedback, TPT gives you feedback credits that you use to lower the cost of your future purchases. •I value your feedback greatly as it helps me determine which products are most valuable for your classroom, so I can create more for you.